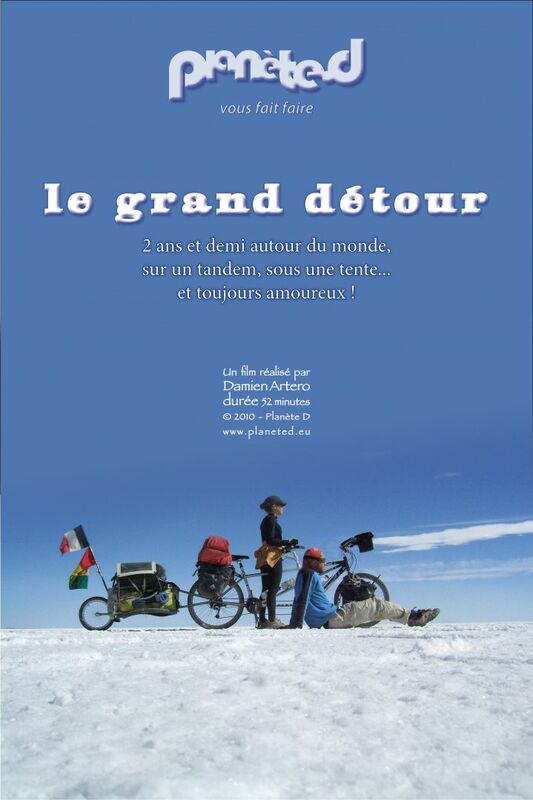 In a few words: cycle around the world to reconciliate with it; trigger luck and hospitality; strengthen our couple through adventure. The Himalayas… the dream inside the dream, and a myth turned into reality for Delphine and Damien! 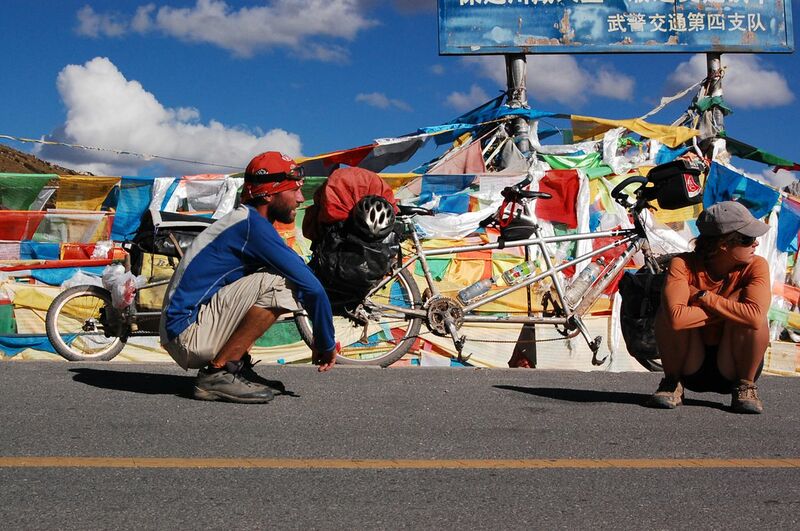 1.5 year after living France, they ride across forbidden Tibet, the highest country in the world, on their tandem bike, for 2 month and a half, and make a break along the way in Lhassa to capture the Tibetan folk’s unmovable faith under Chinese occupation. Luckily enough, the Chinese authorities decide not to stop them. 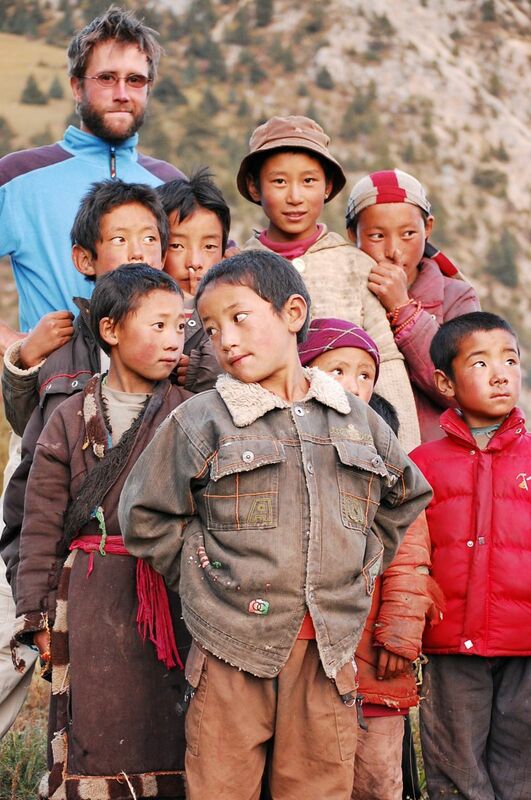 They then reach Nepal and India, where they experience the hardest cultural gap they’ve ever known. 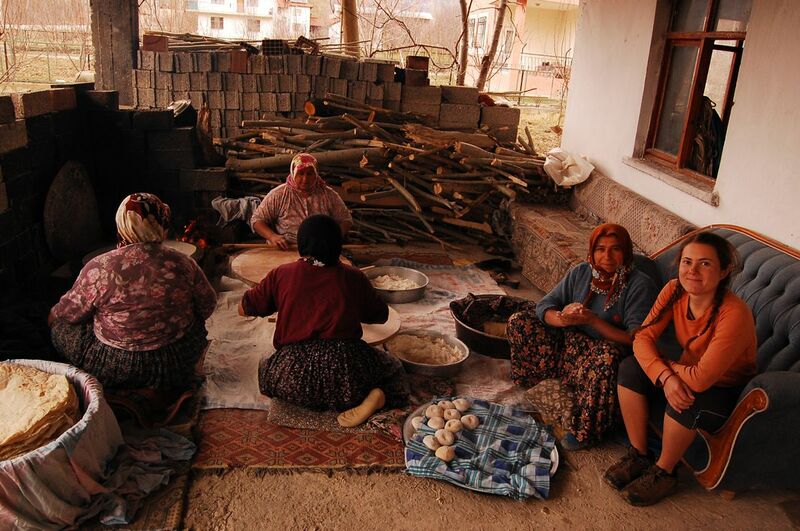 Exhausted but marvelling at India’s incredible life, they finally make it back home through the Old Continent: Turkey, Bulgaria, Bosnia… meeting fascinating people on the way. 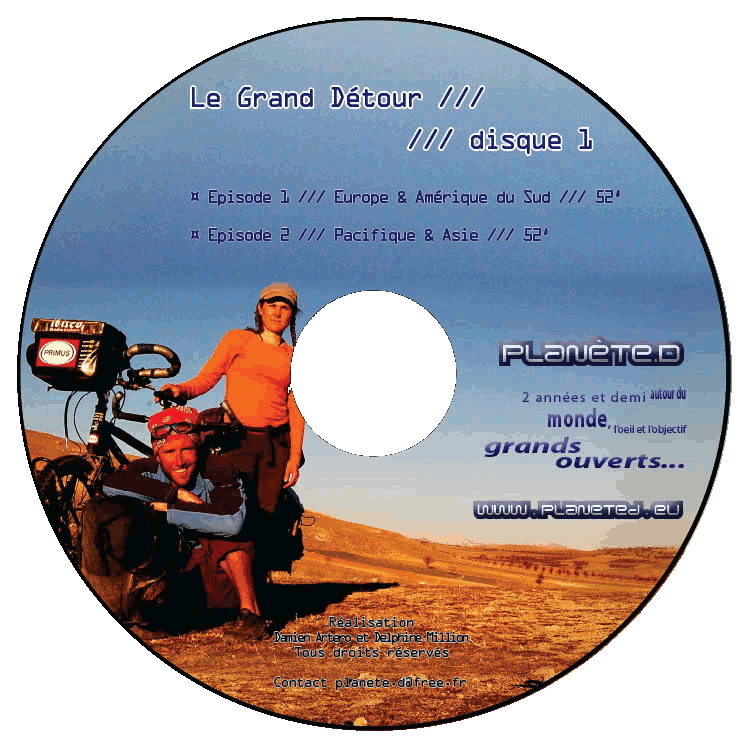 La genèse de Planète.D : 2,5 années de tour du monde en amoureux à tandem, à la rencontre de la vie, des personnes, du rire et des rencontres, à travers l'Amérique du Sud, la Nouvelle-Zélande, l'Asie, l'Himalaya et l'Europe. 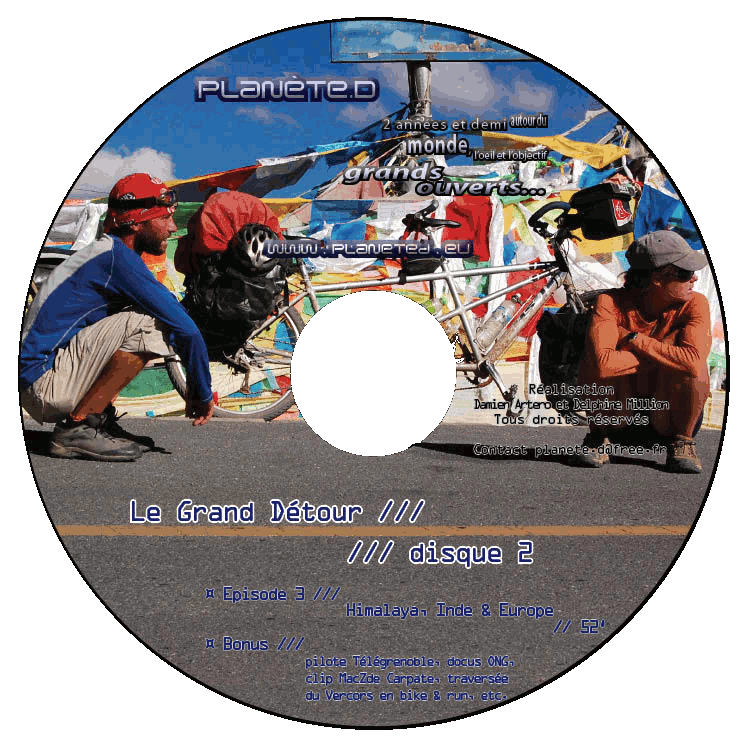 / The story of how Planète.D was born: 2,5 years cycling the world as lovers on a tandem, meeting people, life, happiness, riding across South-America, New-Zeland, Asia, the Himalayas and Europe. Bonus multiples, bêtisier. / Extras, gag-reel.